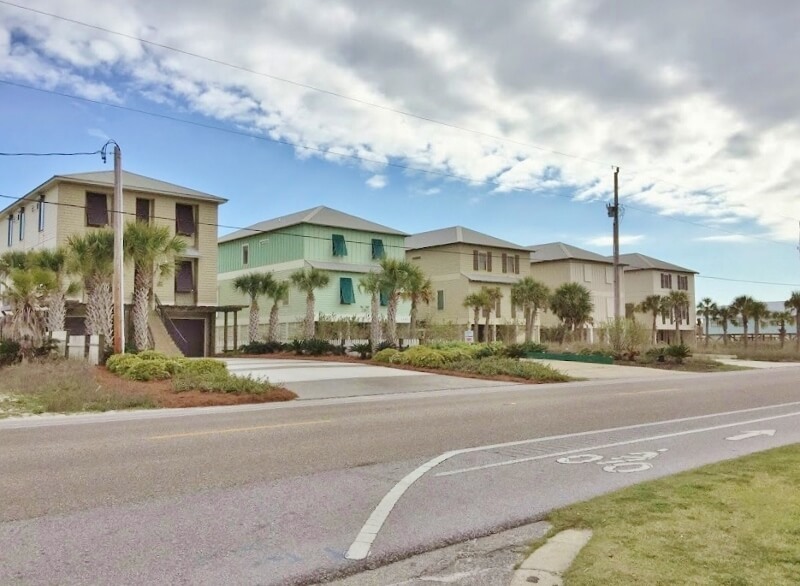 Southern Grace is beachfront in the West Beach area of Gulf Shores, Alabama. It is a lovely, upscale house with 6 bedrooms, 5 full baths offering plenty of room for the entire family. We hope you'll find the same sense of peace that we do on this beautiful stretch of sugar-white beach. Enjoy 3 king bedrooms (1 with a daybed & trundle), 3 queen bedrooms (1 has 2 queens for a total of 4 queen beds), and 5 full baths. It sleeps up to 16 guests (maximum of 12 adults). Sorry, we are not able to accommodate groups under the age of 25. 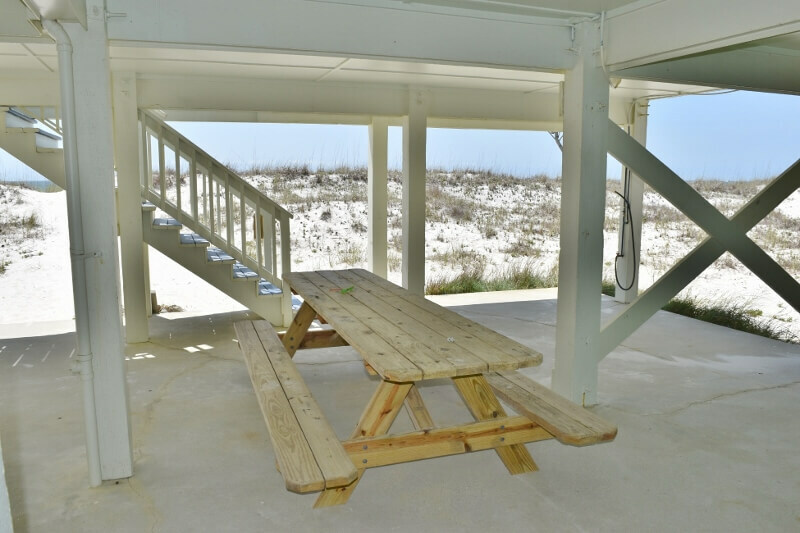 For Hangout Festival there is a Refundable Cleaning/Damage Deposit to ensure the house is left as expected. 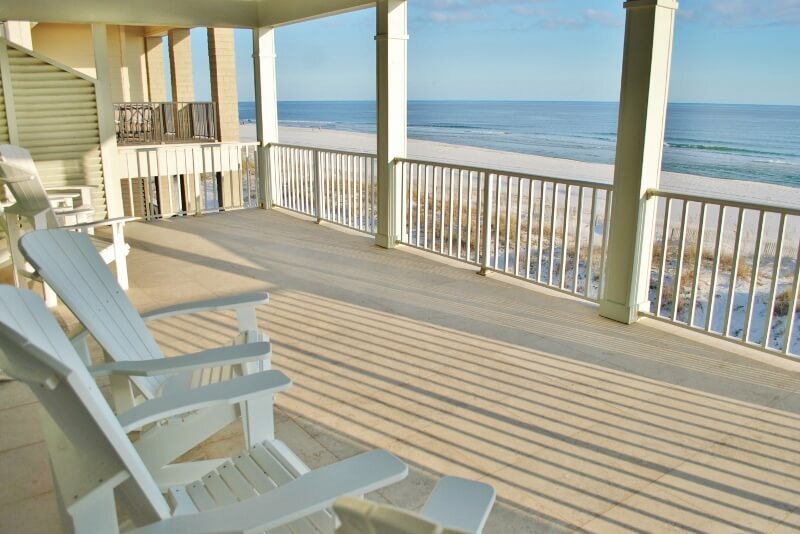 Upstairs you'll find 4 bedrooms including the beachfront king master, a bedroom with a pair of queens and a private bath, a bedroom with a queen and an adjoining bath that also opens to the hall, and a cozy queen bedroom down the hall. All bedrooms have flat-screen TVs, and of course we have WIFI. My husband and I rented this beautiful house to accommodate our large family. We came with our 4 adult children, their spouses, and 4 grandchildren. The house not only had enough bedrooms, but the correct size bedding we needed. There was plenty of beach chairs and beach toys. With a large family, we especially appreciated the 2 refrigerators and the 2 washers and dryers. We thoroughly enjoyed our time at this lovely home. We had a great time! Nice kitchen and good response when we had a question or issue! 8 men stayed at Southern Grace for 3 nights in April 2018. House was spacious and clean and very comfortable. We cooked our meals, and the large kitchen with two refrigerators made meal prep a breeze. The bedrooms and baths were very nice, although we really needed one more king or queen size bed. We BBQ'd outside on the ground level and ate on the large picnic table, enjoying the cool breeze. It was a great experience, and we will do it again. This was our 21st golf trip to Gulf Shores. We had a wonderful stay!!! This is a very comfortable home, and is probably the best stocked kitchen and home in general I have seen. Love working with GSV, too. This house was perfect for our family vacation. Roomy and beautiful! Awesome kitchen, stocked with everything you could possibly need. Property management team was superior. We will return to Southern Grace! We loved everything and every minute of staying at Southern Grace. We are a family of 12 including grand parents,adults, teenagers and toddlers. This house was ideal for all. Very spacious well kept and well supplied. We had a wonderful week watching dolphins off the back deck and playing in the sand and surf. Excellent location. We will be returning next year. We have been going to that area for the last 15 years and this was the best rental we have stayed in. Space works well for all ages. Our family went to the gulf to celebrate my father in laws 80th birthday. There were 12 of us. The house was absolutely perfect! Big and spacious and comfortable. The mattresses and the sofas were super comfortable. 2 refrigerators and an ice maker were so awesome. We hope to come back soon and would definitely rent this home again. Susan was awesome to work with too!! Wonderful home that our family of 6 enjoyed. We were so happy with the home and enjoyed the beach as if it were our own. Home had plenty of room but also had common areas that we loved for dinner with our family. Thank you! This house was perfect for everyone! Great location and tons of room. I would suggest Southern Grace to anyone traveling with a larger group. Since our grandmother is not able to travel, we brought Christmas to her! 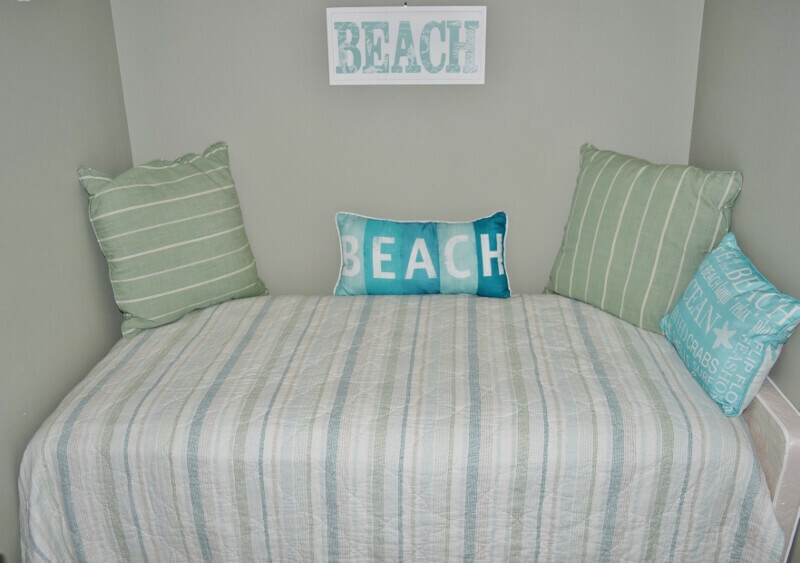 We all loved being on the beach for a change of scenery and the house was very accommodating for our big group. The spacious living areas and beautiful location were important to our group and the home lived up to everything we could have imagined for a "white" Christmas! 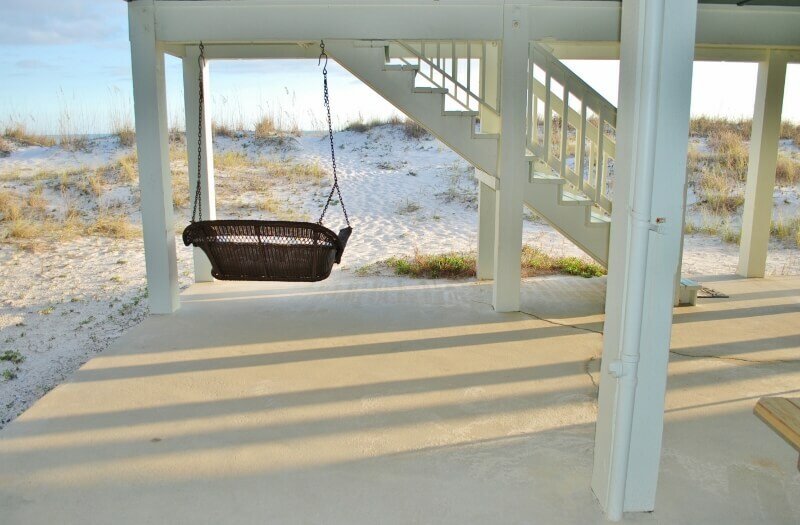 We loved this big and nicely finished home, situated directly in front of the beach. It was easy to go back and forth multiple times a day, and the beach was ours the entire stay. We saw dolphins, caught a few interesting fish, and had a really good time. Only trouble was the jelly fish that we had to learn to dodge a little better, but it had nothing to do with the house! Our trip was awesome! The house was beautiful as well as the beach! Highly recommend it! Southern Grace was almost perfect! Perfect location and lots of room for a large group...layout great! House was very clean and comfortable and decor was lovely. Two refrigerators was an added bonus! Only complaints would be that the 3 garbage cans were overflowing when we arrived on Friday and the garbage trucks didn't pick up the garbage until Monday! So we didn't have any place to put our garbage...yuck!!! Also, the exterior door locks were difficult to operate. Other than those complaints, our stay was GREAT! Great stay at Southern Grace! 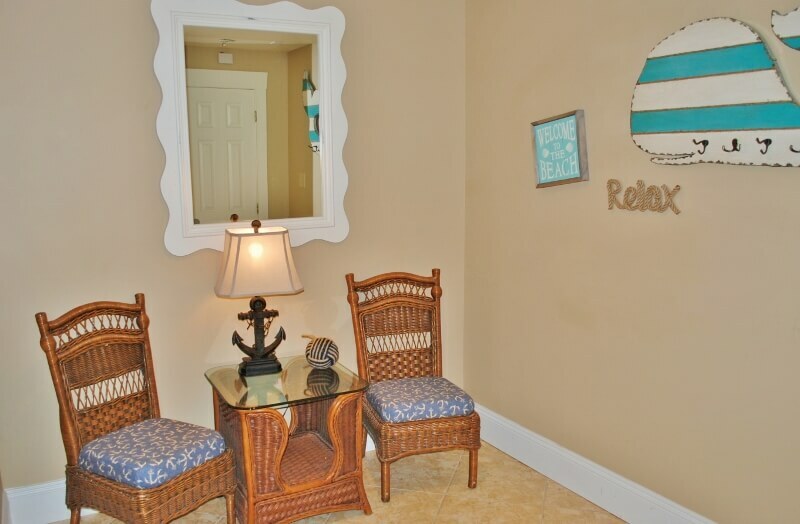 Southern Grace is spacious, clean, nicely decorated, and has bathrooms galore! It was perfect for our group of 14. The two fridges and ice maker in the kitchen were an added bonus! We had a great weekend at the house and will definitely be back. We enjoyed our week at your beautiful home with our kids and grandkids. It was perfect for all ages. We loved having the washers and dryers on both floors. Enjoyed much time just sitting on the decks watching the waves. The waves were different every day ! Everything about our stay in Southern Grace was awesome! The house was so clean & beautiful, just like the pictures! We saw dolphins every morning and collected several sea shells. The property management company was the best I have ever worked with! This was a much anticipated first beach vacation for our large family. 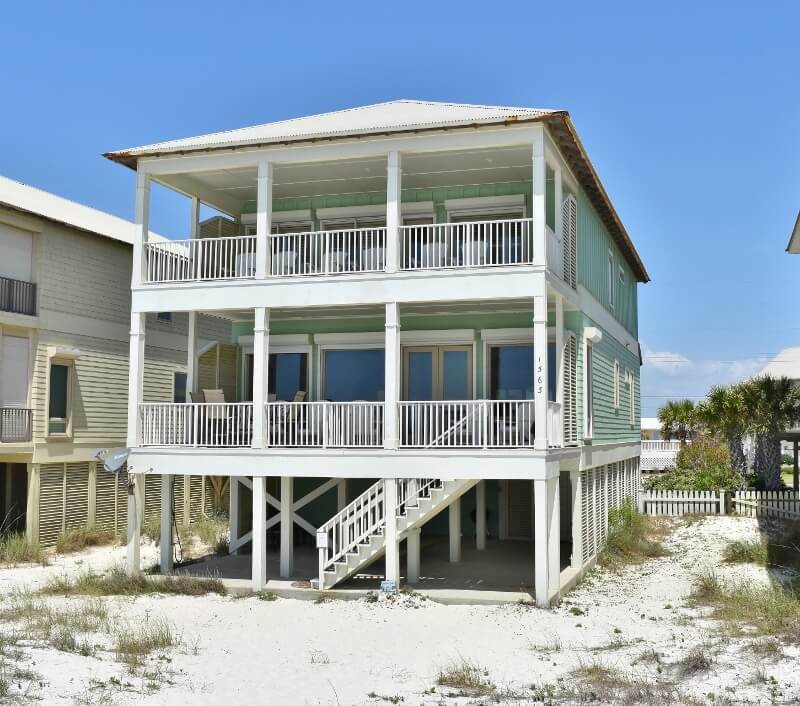 This house on west beach Gulf Shores was a perfect match. 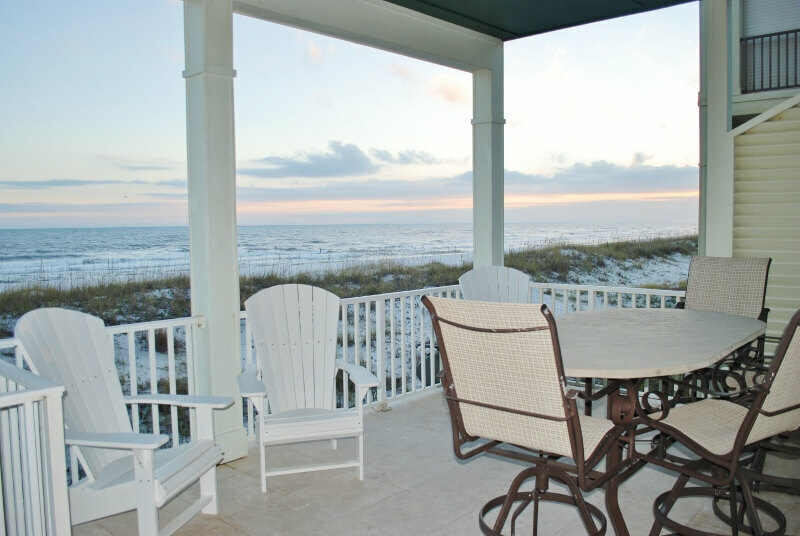 Right on the beach with plenty of space to accommodate us. A generous kitchen and dining, well appointed and furnished living and bedroom spaces, and porches to capture the views of creation. Gulf Shores too was a great choice. On beach: first rate sand and surf for castles and cooling off. 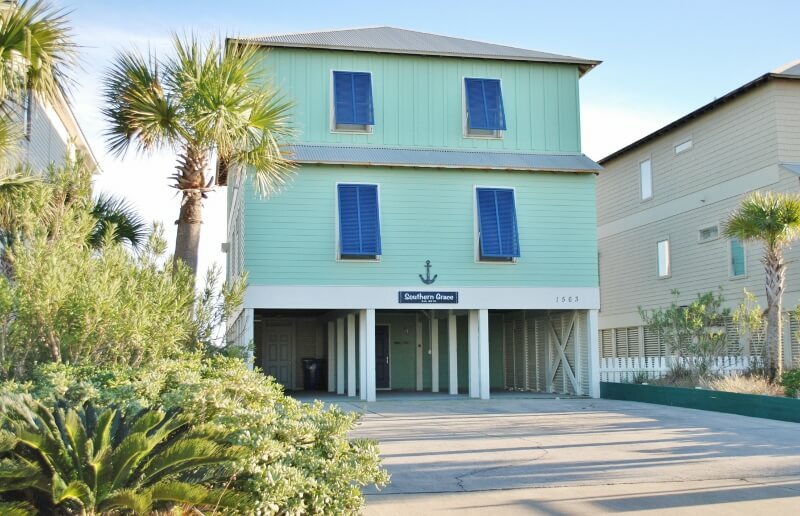 Off beach: close proximity to surf shops, ice cream and restaurants. 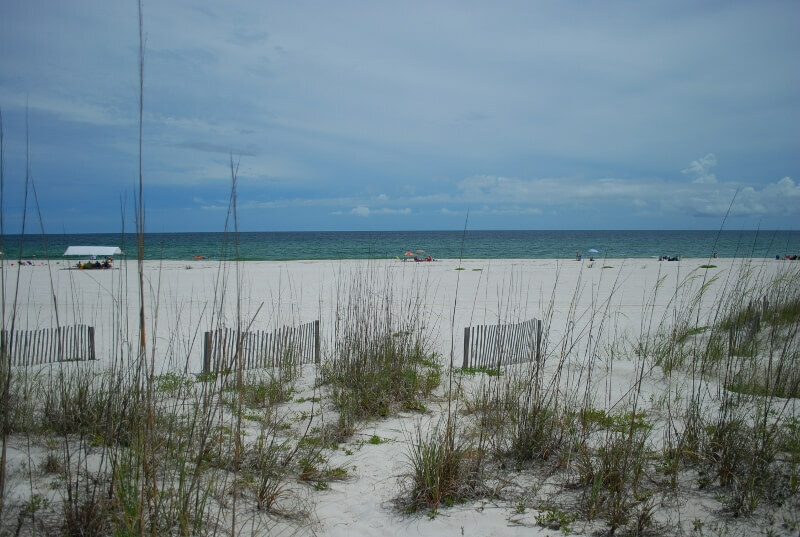 Hangouts are close if desired and Mobile and Pensacola are quick drives if day trips are needed. The USS Alabama and Naval Aviation museums were great. Great beach. Great house. Great location. The house and location was perfect. I loved having two refrigerators and two sets of washer and dryers. We had a wonderful time. I would recommend this place to anyone. This home away from home met all of our needs for our extended family of 13, eight adults and 4 children. The home is very spacious and furnished well, even with beach toys and umbrellas. We especially enjoyed having the two refrigerators and two laundry rooms. We found Southern Grace easily off the highway and is close to shopping and entertainment. It is on a quiet beach, not too crowded, and very clean. Overall, it was an awesome place to share good family times. We had 14 family members from ages 7 to 71 and we all thoroughly enjoyed the stay. The house was very spacious, clean and well furnished and I cannot think of anything that was missing. Geoff was very responsive to a service request and resolved it well. We would all definitely return . The interior of the house is nicer than the website pictures make it appear. The quality of the workmanship is better. A group of 12 adults and 4 young children from our church traveled together to Stay at Southerb Grace in January 2017. We were completely floored with the properties condition. It was better than pictured, having had several updates in decoration and baby and toddler equipment left for us to use! There was even an extra twin sleeping space in the master closet which my kiddos promptly claimed as their own cave! The home was spotless, the kitchen well stocked with appliances, cookware, and dishes! The location was perfect, the only thing we would have changed is to have had slightly warmer weather, although it was warming every day we were there from 45-75 over 4 days. We had a fantastic vacation and would love to come back! Thank you guys so much for such a wonderful time and a well maintained home away from home for us to enjoy! Our family vacation at Southern Grace was wonderful! The house was equipped with everything we needed plus more. Everyone enjoyed having their own bedroom and bath. The two refrigerators/freezers and the two sets of washers and dryers worked out extremely well. The beach chairs, toys and accessories were an added bonus. Geoff and Susan were very friendly and always available to answer our questions or assist in anything we needed. Beautiful memories were made at Southern Grace! Our 5 families and a single loved our time at Southern Comfort! The moms and kids planned outings every morning while our Board met and then we spent afternoons and evenings with our families on the beach. It was a great opportunity for us to get to know each other much better and get in the planning and updates needed for our nonprofit. 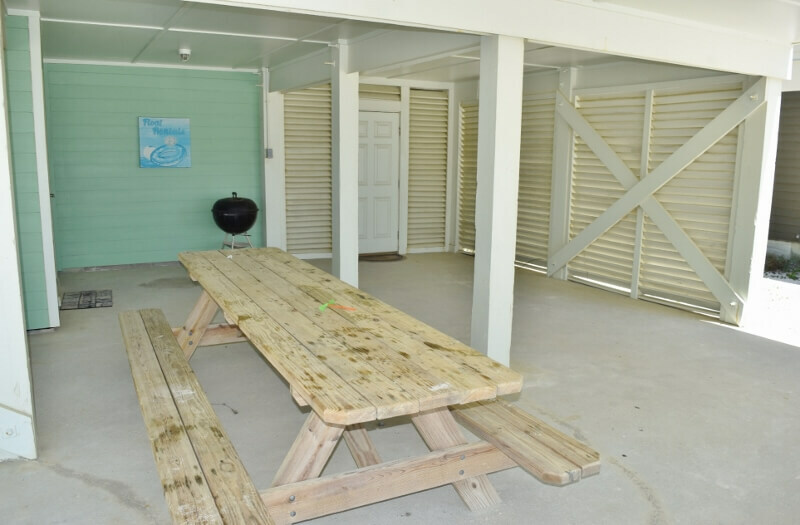 The families really enjoyed the beach location and I appreciated a great place for a reasonable price. Outstanding-second time staying here. Perfect for our family in every way! We had a wonderful time. Really nice house. Our family fit there perfectly and it's location close to Hwy 59 makes it easy to go anywhere. Everything we needed was provided. Lots of dinnerware and flatware - kitchen was awesome. Beach chairs and ocean play equipment was a really nice touch. We hope to return many times. It was amazing! The place was very clean, and the atmosphere was peaceful! 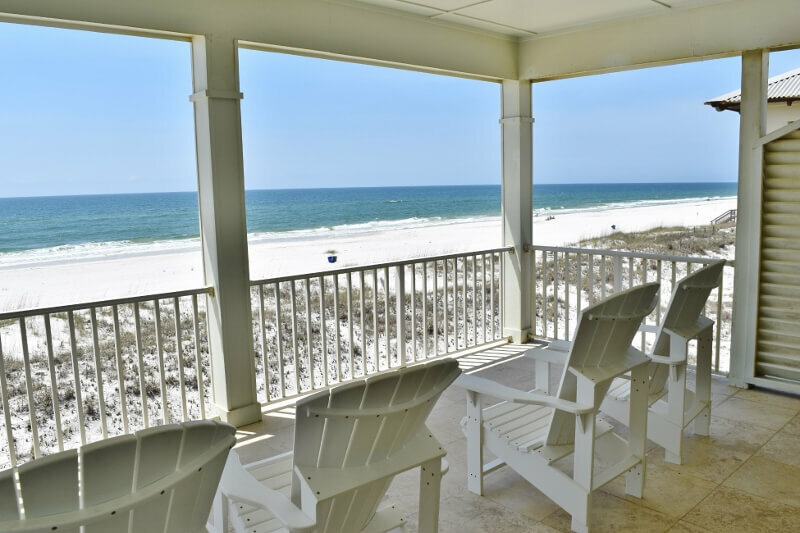 It has been the best place I've stayed at so far on the Gulf. I can't wait to go back! It was awesome. The place is well maintained and owners/management company was very prompt to our requests and very accommodative. I will rent this place again. Had an outstanding time with all the family gathered in and out for the week. Lovely home and spectacular view. Location is great; close enough to stores but not in traffic of condos and high rises. Will definitely consider coming back if schedules allow. Thanks for having us. Our vacation home was clean and very comfortable . My children and grandchildren enjoyed it more than I can say. Staying so close to beach made it very easy with small children. The title explains it well. I would give it excellent all the way. The property owners where very helpful with every thing. This house could not have met our needs any better. 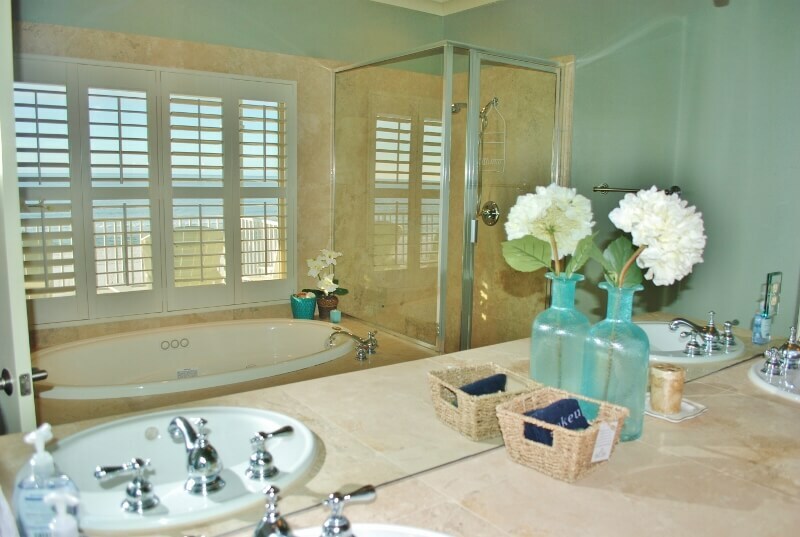 Everything about it, the space, the fully equiped kitchen, the towels, the beach items, etc. Just fabulous. This was our first rental experience and we will do it again. 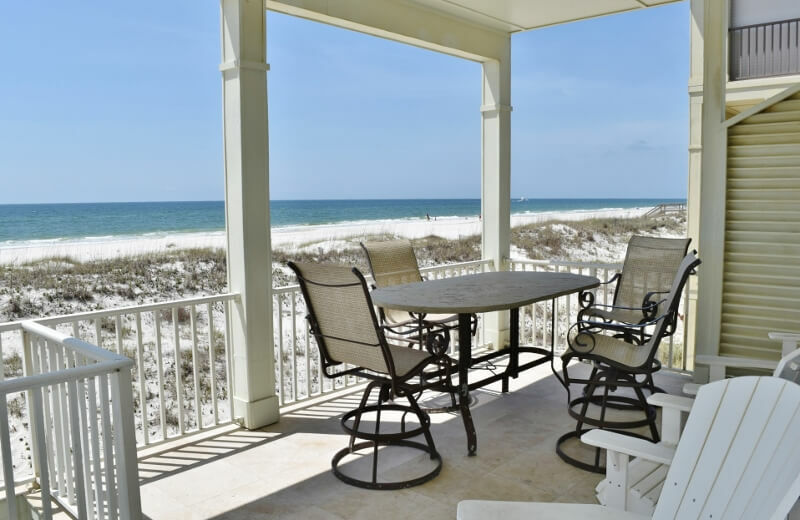 This beach house offers quality living, easy beach access, privacy and many more perks. Booking was a breeze and customer service was top-notched. 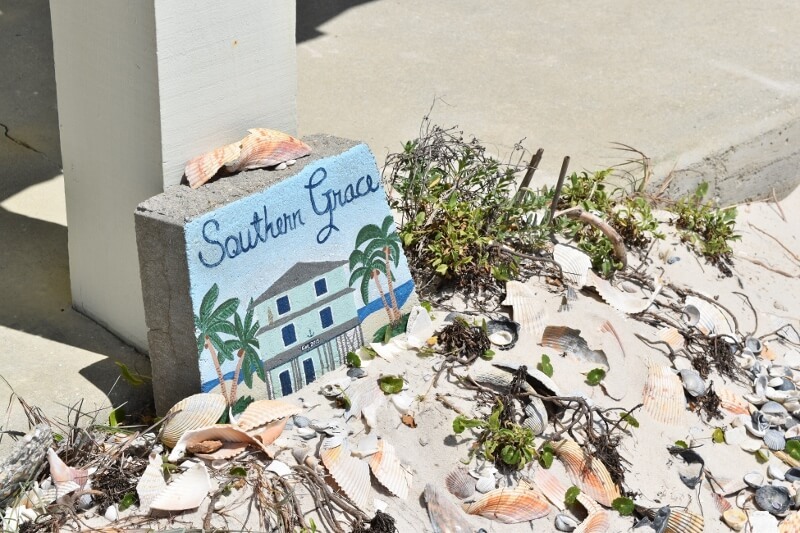 Me and my guests were so pleased with the stay until we are already booking our next vacation at Southern Grace. Home was over the top, and the photos don't quite do it justice. We had 12 adults (girls weekend) and had plenty of room! Loved the two refrigerators! Wonderful home for family trip--3 generations-8 kids,6 adults. Plenty of bedrooms and bathrooms and room to do what you wanted without disturbing others. Lovely kitchen and dining area on tile so easy cleanup. Great blender for afternoon treats . All meals were easily prepared in fully equipped kitchen. We're a family that likes to cook and there was room for everyone in the kitchen and huge bar area. Easy access to shopping for supplies of seafood and steak which was cooked on provided grill. Every meal was a delicious feast. 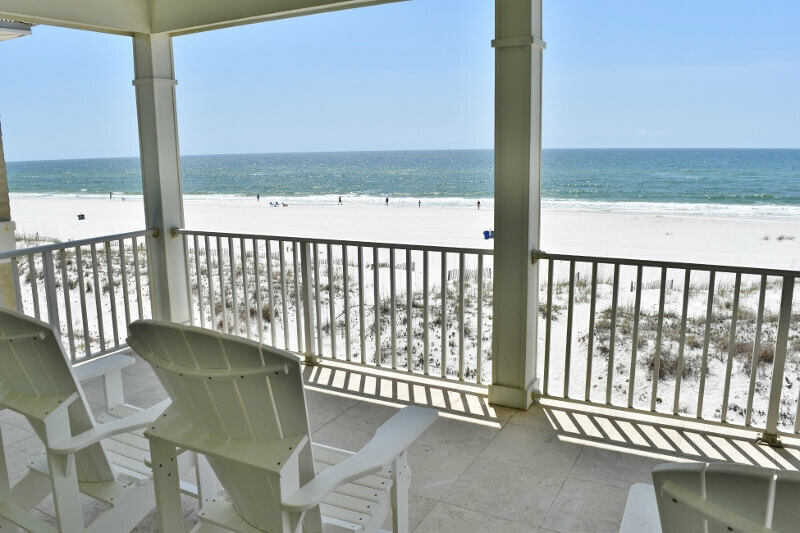 Beautiful view and close walk to beach with lots of available beach toys. This is on the south side of road so didn't have to cross street with this group of small children. This was great in every way--thank you. We had a wonderful vacation even though it rained. Southern Grace is very roomy and never felt crowded. We loved the porches and the two refrigerators. The beds were very comfortable and everything was so clean. We look forward to renting this property again.